Mission: To install Pioneer AppRadio into this 2004 Mercedes CL55. In this Mercedes CL55 we removed the original Comand system which was getting a little tied, and replaced it with a Pioneer App Radio. 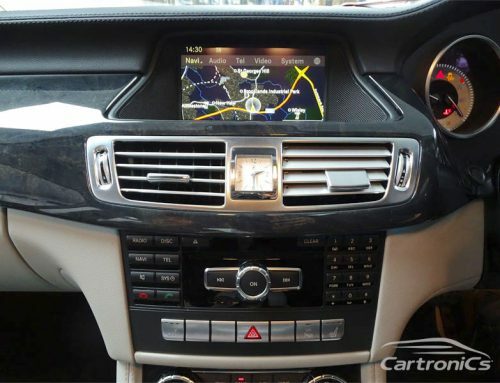 The Pioneer Double Din radio was installed and integrated with all the Mercedes factory systems. The steering wheel controls were integrated with the Pioneer system and this included the phone button, and in addition the BOSE amplifier (MOST) was as integrated.